This romantic comedy takes place over the course of one year - opening on New Year's Eve of one year and closing exactly one year later. 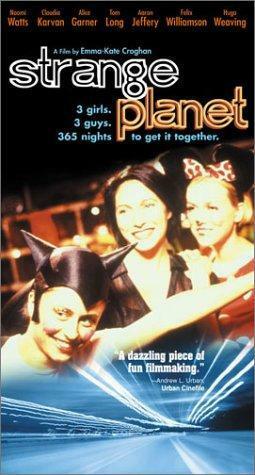 The film focuses on three women living together in a house in Sydney and three male best friends. The men and women at the film's start have not yet met, but it is obvious that all will get together by film's end. The three women (Claudia Karvan, Naomi Watts, & Alice Garner) are all ending nowhere relationships with married men, older men, or just life's losers. One of the men (Felix Williamson) is just a shy law graduate, one (Tom Long) is a sexual conqueror who has just learned one of his conquests is pregnant, and the last (Aaron Jeffrey) is facing a breakup of his marriage. Through various events, each of the two trios end up together at the turn of the year.